On March 29, 1920, the headline of the Seattle Daily Times blared, “Issaquah Ducks for Cover as Shots Fly!” The subtitle read, “Bad Ben Legg Has Aim That Matches Heart.” In less than ten words, the newspaper implied that Legg was not only a bad person, but also a poor shot. It would not be the last time that the press condemned him. The moniker Bad Ben Legg was not wholly deserved. Family members say that Legg was actually a kind, soft-spoken man, a loner who knew hardship during his life in the rough mining town that was early 20th Century Issaquah. Like many of Issaquah’ early residents, Ben Legg was the son of immigrants. His father, Robert Legg, came to the United States from England in 1869. He married Jane Anderson, and they settled in Ohio. The first Mrs. Legg died in 1888. Four months later, Robert Legg remarried, to a woman named Jenny Fynes. She was roughly half his age, the cousin of his first wife. On April 5, 1889, their son Benjamin was born in North Lawrence, Ohio. In 1890 the family moved to the town of Gilman, Washington (today’s Issaquah). Robert Legg bought a lot in town where he built a house. Legg also filed a land claim on a quarter section of land high on Squak Mountain. He worked in the coal mines, along with his sons. When he wasn’t working or proving up his property, he could be found at Burke’s Store, reciting his poetry, or down at the bar. Jenny Fynes Legg was in frail mental health by 1900. Several times she was admitted to the Washington State Hospital for the Insane. In this era, mental illness was seen as a personal failing rather than an illness. Between his wife’s illness and his own outside pursuits, Robert Legg found it difficult to provide sufficient care for the children. Over the course of several years, the five youngest children were removed from the home by order of the juvenile court. Jenny died in October 1908. In 1910, Ben Legg was living with his father and his youngest brother George in the family home on Mill Street (today’s Sunset Way). Ben was working as a sawyer, and his father was doing odd jobs. In 1911 or so, Legg relocated to Stanwood, Washington. Stanwood was similar in size to Issaquah, and like Issaquah, it had an active lumber industry. It was probably a job that drew Legg to the Stanwood to begin with. In 1912, Ben Legg married Olive Conners, a Stanwood girl who’d been working at one of the town’s hotels. The young couple moved to Seattle, where their first child, a daughter, was born in 1914. Two years later, Olive was pregnant with the couple’s son when she developed a rare liver condition that killed both her and the child. Ben’s daughter went to Stanwood to live with her grandparents. During this era, Ben and his brothers were supporters of the Industrial Workers of the World (IWW), a labor organization active in the Pacific Northwest between 1905 and the 1920s. The IWW, or Wobblies, campaigned to unionize lumberjacks and mill workers of the northwest. In addition to the marks their logging boots left on the floor of the house on Mill Street, one or more of the Legg boys inscribed the initials of the IWW on the chimney in the attic. Who fired the first shot is still debatable, but at the end of the barrage, four IWW members were dead, a dozen more were injured, and an untold number had fallen overboard. (For more information about the Everett Massacre, check out Historylink.org). Jack Leonard Miller, another Wobbly who was on the Verona that day, recorded Legg’s role in the Massacre in a handwritten account held at the UW. Two of the Sheriff’s deputies were also dead, although it was later determined that one of them was killed by friendly fire. When the Verona arrived back at the dock, the Wobblies aboard — including Ben Legg — were shocked to find themselves under arrest for first degree murder. The men who stood trial were in jail for more than 6 months. Although the charges were eventually dropped, Legg would have lost his rental home and his job. Upon release, he returned to Issaquah. In the 1920 census, Ben Legg was listed as a widower, and was living in Issaquah with his father and younger brother, Arthur. All three worked as miners. 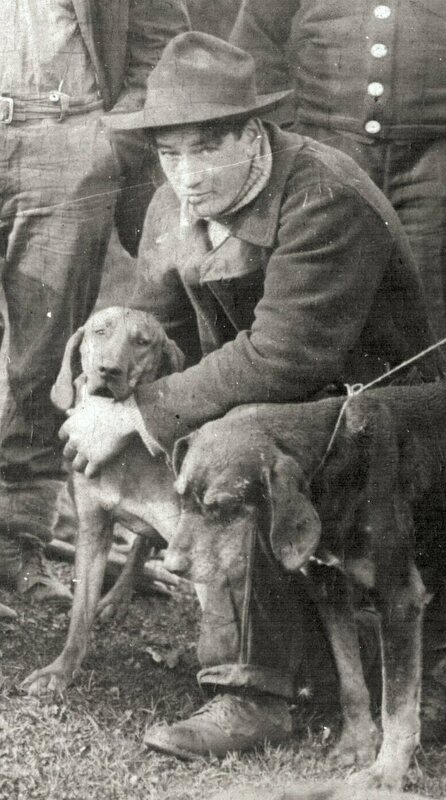 After his wife’s death, Legg became something of a loner, although he was constantly accompanied by his adoring dog. Legg worked alternately in the woods and the mines, and was known to make moonshine with his brothers. On March 28 of 1920, Legg had reportedly been drinking moonshine when he set out after his neighbor, Tom Hall. There is no explanation for Leggs grudge with Hall, although the two apparently had a long-running feud. Legg supposedly emerged from his home at about 11 AM with his Winchester rifle in the crook of his arm. He fired two shots at Hall as the man fled his home, both of which missed their mark. Legg then followed Hall through town, shooting randomly. A bullet entered William Evans’ home and missed Mrs. Evans by 18 inches. Another bullet struck the power station building (next door to the Grand Central Hotel). Legg reportedly stopped to threaten a Native American child who was walking along Mill Street with a companion. Both boys took off at a run and Legg fired into the distance, missing them. Legg also took a shot at Bert Hoye, missing him as well. 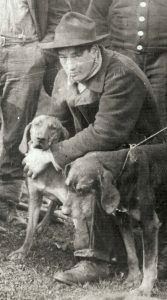 Then, according to the Daily Times, Legg stopped in his tracks at the sight of a dog; the paper claimed that Ben Leggs rage drained away then, due to his affection for canine companions. Bert Hoye disarmed Legg and led him home to be put to bed. At 2 PM, King County Sheriff Matt Starwich and two deputies arrived to investigate. Legg fled his home at their arrival. They gave chase and spotted Ben crossing the creek, about to disappear into the trees beyond. They shot Legg twice, in his arm and just above his right hip. Their quarry was then easily apprehended. On their way to the county hospital at Georgetown, Legg told Starwich, “Well, Matt, you would have been within your rights if you had killed me and I don’t see why you didn’t.” Presumably Ben’s injury healed he didn’t suffer any dire consequences from his arrest. In 1930, Ben Legg was still living in Issaquah, alone. 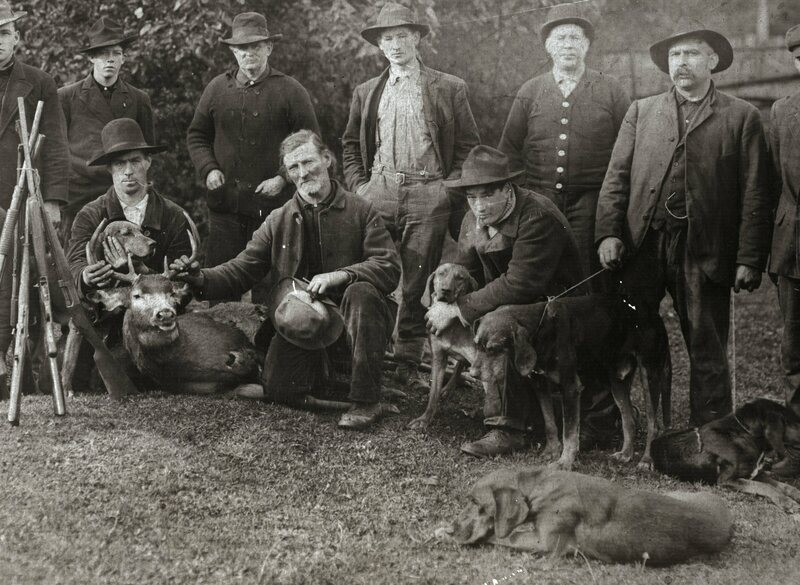 We can assume he had canine companionship although the federal census did not take pets into account. He lived on Mill Street, probably in the family home where he spent most of his life, and was out of work. In 1942, Legg bought a small property with a cabin on it, on the shoulder of Grand Ridge. He lived there until his death in 1960. It is clear from the historical records and family tales that Ben Legg’s first forty years were filled with hardship and loss. The press branded him “bad” in 1920 and the name stuck. But was he really bad? In the newspaper account, there is no mention of the town marshal (who was at that time either Burn Mullarkey or Jack Chalfa, both longtime residents of Issaquah) attempting to apprehend Legg. Consider also that Bert Hoye was hiding from Legg at one moment, and leading the man home to put him to bed the next. 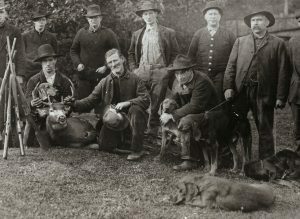 In 1920, Issaquah was a community of just under 800 people. In a town that small, people were acquainted with each other, and with each other’s quirks, tendencies and shortcomings. Although the reader may draw his or her own conclusions, evidence suggests that most of the townspeople in Issaquah did not consider Ben Legg to be malicious, just one of their own, having a bad day. Sources include: Seattle Daily Times, March 29, 1910; U.S. Federal Census records for 1900, 1910, 1920, 1930; the Washington State Birth Record, 1907-1919; the Leggs of Issaquah, a family tree; and correspondence with Patricia Gilbert, Legg descendent. The Issaquah Press for the week following the one man shoot-out is difficult to find. If you have a copy of the April 2, 1920 Issaquah Press, or more information about Ben Legg, please let us know!